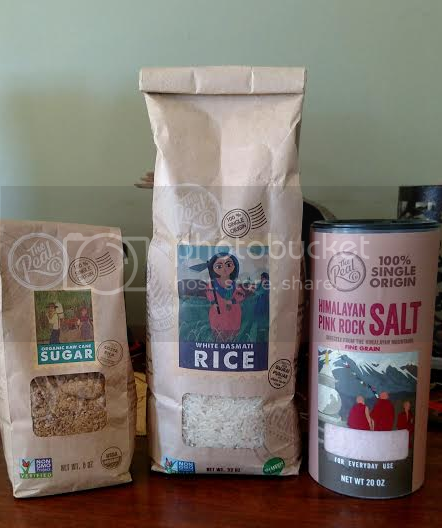 The Real Co, Inc celebrates the change of seasons and the Holidays with the first certifiable 100% Single Origin products including Himalayan Pink Rock Salt, Organic Raw Cane Sugar, and organically grown White Basmati Rice. The Real Co is pioneering Single Origin in food products, which is an exciting and transparent new food category and method of sourcing products globally and delivering it at a local level. Just in time for the change of seasons and the Holidays, The Real Co offers comforting recipes that also serve up a nutritional punch. Every grain of salt, sugar and rice can be traced to its source, which is shared on every package of food bearing The Real Co name. Every food item has the Non-GMO Project Verified seal and is harvested from one single place, single farm or single family. The Real Co products are also Vegan, Gluten Free, and KOSHER! With the advent of fall and the holidays, chefs and home cooks alike are raving about the way their dishes taste using The Real Co salt, sugar or salt. Americans have embraced clean, simple ingredients in their foods, and The Real Co offers wholesome, natural and nutritious foods. This season, don’t let the hectic pace get to you, and instead of indulging in unhealthy, high calorie foods with little or no nutritional value, why not “Swap It” for the wholesome goodness of The Real Co foods? The Real Co White Basmati Rice has no additives, no chemicals, no pesticides, no GMO and NOTHING added. The Real Co White Basmati Rice is a “super grain”, containing all essential Amino Acids and folic acid, and is gluten free and cholesterol free. The Real Co Organic Cane Sugar is unrefined sugar, offering the full taste of natural sugar and nothing like the fake, white sugar on many kitchen tables, and dissolves in both hot and cold drinks. This sugar contains 17 Amino Acids, 11 minerals and 6 vitamins, as well as antioxidants that may reverse oxidative damage. The Real Co Himalayan Pink Rock Salt packs a whopping 80 plus minerals and elements which are noted for many health benefits including reducing blood pressure, preventing muscle cramping, strengthening bones and more. 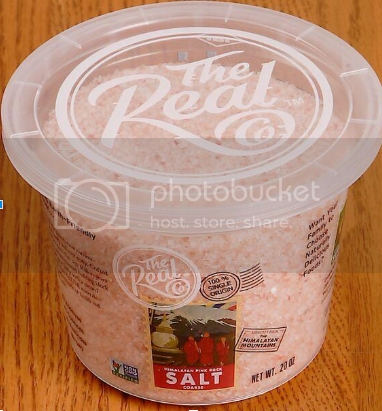 The Real Co Himalayan Pink Rock Salt, handcrafted, at the Himalayan Mountains. This salt is 100% pure; 100% Single Origin; non-GMO; has 84 active minerals in every grain; is unrefined and mountain washed in Himalayan mountain water. 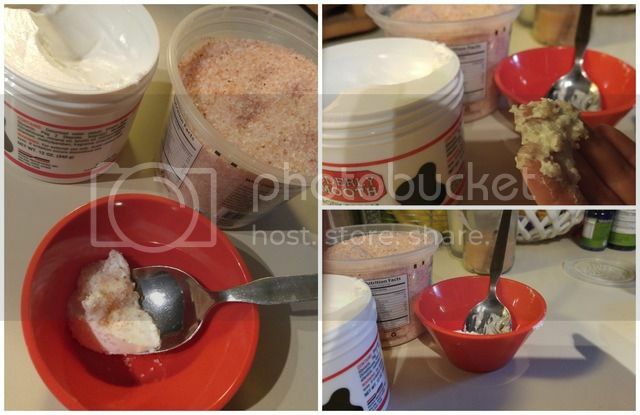 The salt is available in a 20-ounce tub container for a suggested retail price of $6.99 or in a saltshaker container for a suggested retail price of $9.49. The Real Co White Basmati Rice, directly from Gujrat Punjab from Farid Co-op Farm, is 100% natural and 100% Single Origin; low-GI and pre biotic; non-GMO and is gluten free. The rice is available in 2 sizes: 16-ounce at a suggested retail price of $3.99 and 32-ounce at a suggested retail price of $6.49. Use the Real Co. products to make unique Christmas gifts this year! Lotions make a rich, moisturizing body scrub that leaves you skin so soft. By making them yourself, you have control over the scent and texture. Make it to your preference. Just mix a tablespoon of your favorite exfoliant per cup of lotion or body wash. Here are some options for you! Ground oatmeal. Is perfect for sensitive skin. I would make an oatmeal body was for the kids when they were infants. Grind up oatmeal in a blender or food processor and mix with your favorite Udderly Smooth cream. It helps with itchy skin! Coarse salt. 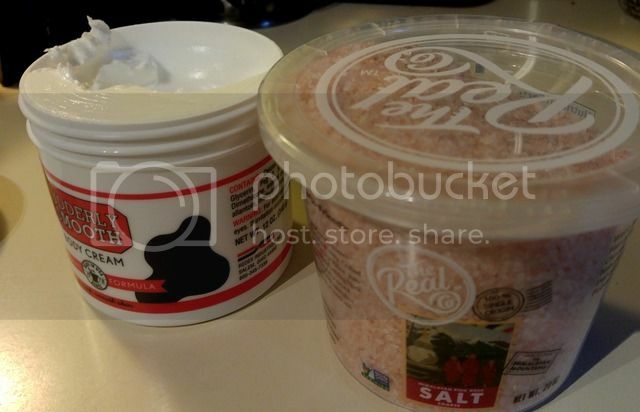 I used The Real Co Himalayan Pink Rock Salt and it was a great textured that helps to get rid of flaky skin. It can be drying, so don't use often! Check out The Real Co “Swap It” recipes, below. Swap out unhealthy white rice for The Real Co White Basmati Rice, a gluten and lactose free natural rice which offers the benefits of being a “super grain”, with all the essential Amino Acids and folic acid a body needs. 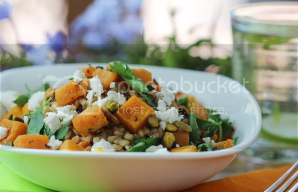 Assemble all ingredients in a large bowl, using warm rice. Add in the olive oil and toss, then sprinkle with The Real Co Pink Himalayan Rock Salt to taste. Swap out unhealthy white sugar with The Real Co Organic Raw Cane Sugar, which if an unrefined sugar offering 17 Amino Acids, 11 minerals and 6 vitamins, as well as antioxidants that may reverse oxidative damage. Pie crust: Swap out a traditional frozen pie crust for a healthier whole wheat crust, in the frozen food aisle of your grocery store. Heat oven to 400 degrees.Place frozen pie crust in pie dish. Whisk together the two eggs, then add in the melted butter. Then, mix in all other ingredients and stir well. 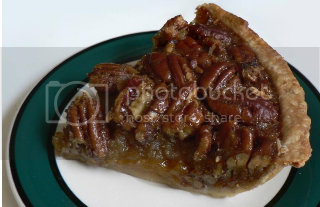 Cover pie with second layer of frozen pie crust, crimp edges, and remember to cover the edges with foil so they do not burn. Bake at 400 degrees for 15 minutes, reduce heat to 350 degrees and bake for an additional 30 minutes. Cool completely. The Real Food Co was founded in 2013 in Valley Cottage, New York with a direct farm-to-market approach for the organic food industry. The new 100% Single Origin Foods concept supports farms at their source, cuts out the middleman, and delivers directly to the U.S. market, cutting costs of products compared to other manufacturers. The Real Co offers transparency to the consumer, and is developing the first Certification of 100% Single Origin Foods in the U.S. The Real Co is available nationwide in numerous stores in every state, also on Amazon.com; Healthygoodness.com at The Market in California, Natural Grocers (national), ShopRite, Fairway Market, Westerly Natural Market, Kings, Balducci, Kroger and Healthy Goodness. A full list state by state is available at TheReal.co.